Energy Experts is a new professional designation of Alicia Air Conditioning & Heating, a family owned business which has served all of Orange County and the surrounding areas since 1980. At Alicia Air, we have provided Irvine with affordable factory authorized, comprehensive Carrier sales, installation, maintenance, and repair services for over three decades, and are now proud to add the distinction of Carrier Certified Energy Expert to our extensive list of professional credentials. As a Carrier Certified Energy Expert, the home HVAC (heating, ventilation, and air conditioning) specialists at Alicia Air are now authorized to conduct Carrier 360° Whole Home Energy Audits throughout our service area, and can comprehensively identify home heating, ventilation, cooling, and indoor air quality problems for our valued clients, in order that these troublesome issues can be effectively resolved. Are you worried that your Irvine home heating or cooling system is not functioning properly, and that you are wasting money on utility bills and not experiencing the optimal home comfort possible? 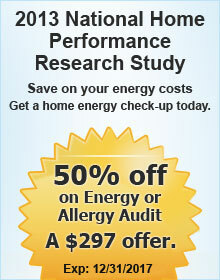 Are members of your household suffering from allergies or asthma? If the answer to either of these questions is yes, then an affordable whole home inspection conducted by the HVAC experts at Alicia Air could provide the beginning of a solution to these troublesome home environment issues. At the Energy Experts (Alicia Air Conditioning), we are committed to providing our valued clients with the most efficient, effective solutions possible to their home heating, cooling, and indoor air quality needs, and providing them for the lowest prices possible. Depend upon the knowledgeable professionals, call the Energy Experts at Alicia Air today. We service all of Orange County and surrounding areas, and are licensed, bonded, and insured. When you are experiencing Irvine home HVAC system and/or indoor air quality problems, the Energy Experts at Alicia Air are here to help. At the Energy Experts (Alicia Air Conditioning), we understand how important it is that a home HVAC system be correctly sized and also expertly installed, as these factors will have a huge impact on your Irvine home's comfort level, and also comprise a very important financial decision. The price which is paid to purchase and install a home heating, cooling, and ventilation system is only the beginning of the total expense which operating the system will cause a household to incur. In addition to future maintenance and repair expenses, the choice of HVAC system to install will have an enormous impact on your household utility bills for decades to come, making the choice of contractor to size and install the system extremely important indeed. At the Energy Experts (Alicia Air Conditioning), our comprehensive whole home energy audit will help us to determine the right home HVAC system for your needs, maximizing the energy efficiency benefits your household will experience far into the future. At Energy Experts (Alicia Air Conditioning), our whole home, "house-as-a-system" approach to home heating, ventilation, and air conditioning (HVAC) is focused simultaneously on both maximizing your home HVAC system's effectiveness in providing your Irvine home with a comfortable environment year round, as well as promoting its energy efficiency. At the Energy Experts (Alicia Air Conditioning), we accomplish this by taking into account such crucial factors as the age and functionality of your existing HVAC system, the condition and insulation level of its ductwork, as well as the insulating value of your home's thermal envelope, which is comprised of your home's exterior walls, roof, floors, windows, and doors. For example, a key area of air leakage in a home often occurs in underinsulated, leaky attic spaces. Leaky attic spaces contribute to the "chimney effect" within a home, because as hot air generated by a home's furnace rises up through a home and into the attic through leaks, such as around can lights and register seals, cold outdoor air is drawn in through other points of potential air infiltration further down in the home's envelope, such as through gaps in exterior walls and around doors, in order to fill the space the warm air has left vacant. And this effect significantly reduces the overall efficiency of the home heating process, leading to a home environment which feels drafty, and in which a considerable amount of heated air is continually being drawn out of the living space through the ceiling, and squandered in the attic where it is not needed. At the Energy Experts (Alicia Air Conditioning), our affordable insulation services can correct this air leakage in Irvine homes, for a more comfortable home environment, and increased savings on utility bills. Call us today. Leaky or uninsulated ductwork is a major cause of residential HVAC system inefficiency. When a home's ductwork system is placed in unconditioned home spaces such as attics, garages, and crawl spaces, and is not adequately insulated, heated air passing through the duct system during the winter months is not protected from the cold temperatures in these unconditioned spaces, and conversely, cooled air passing through the duct system during the summer months is not protected from the hot temperatures in these unconditioned spaces. For this reason, a lack of sufficient ductwork insulation can prove to be a considerable hindrance to home heating and cooling efforts. In addition, air leakage through damaged ductwork or at unsealed ductwork connections promotes further energy waste. At the Energy Experts (Alicia Air Conditioning), our affordable ductwork sealing, insulation, and replacement services can resolve these problems for Irvine homeowners, for optimal home heating and cooling system efficiency, and maximum home comfort for your family members and guests. Don't allow a poorly functioning ductwork system to complicate your home heating and cooling efforts. Call the professionals at the Energy Experts (Alicia Air Conditioning & Heating) today. Do you worry that your home's indoor air quality is leading to health concerns within your household? Air infiltration through gaps located in a home's thermal envelope, leaky ductwork systems, and insufficient or excessive indoor humidity are a major contributor to health and comfort problems. Excessively dry air can cause sore throats, dry sinuses, an increased risk of respiratory infections, and static electric shocks. Conversely, excessive indoor moisture can lead to the growth of allergy causing mold and dust mites. At Energy Experts (Alicia Air Conditioning), we can diagnose any existing indoor air quality problems for Irvine homeowners and provide cost effective solutions, improving serious health issues such as allergies and asthma in the process. Trust the professionals at Energy Experts (Alicia Air Conditioning) to design and precision-install the ideal high efficiency heating, cooling, and ventilation system for your Irvine home's needs. Installing a new heating and cooling system is a much more involved engineering project than nearly any other home improvement. In addition, it is also a major investment, as the cost of the new furnace, heat pump or air conditioning unit itself is only a small part of the total investment required, which also includes future maintenance expenses, as well as the cost of the energy that is used to run the unit for years to come. For this reason, it is a serious mistake for a customer to hire a heating and air conditioning contractor based on the initial installation price alone. In fact, it is not uncommon for a new unit, installed correctly by a competent HVAC contractor, to cost thousands of dollars more than the price being charged by less competent competitors. A good rule of thumb for choosing the right contractor is to consider an HVAC contractor's customer referral rate, because a good heating and air conditioning contractor will be able to provide potential clients with page after page of customer lists, references, and Reviews. Though price does matter, it should definitely not be the only consideration when installing a new home HVAC system. When all of the areas of envelope leakage within a typical home are identified and added together, it is not uncommon for these spaces of air transfer to add up to the equivalent of a 12" x 12" hole in the side of the home. And because warm air always seeks to migrate towards cooler air, this "hole" in the home's structure provides a significant impediment to efficient home heating and cooling, as during hot weather, warm outside air seeps in through the thermal envelope, diluting cool, air conditioned air; while during cold weather, warm, heated air seeps outside through poorly insulated ceilings, attics, and exterior walls. In addition, this same process occurs in leaky ductwork, a significant source of energy loss. 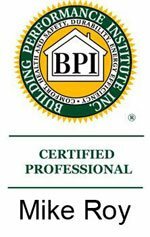 At Energy Experts (Alicia Air Conditioning), our goal is to significantly reduce this air transfer, by properly insulating the major sources in Irvine homes where this leakage tends to occur, including attic spaces, ductwork, and around envelope penetrations such as can lights and register seals. Call the Carrier Certified Energy Experts at Alicia Air Conditioning & Heating today, and discover the difference our house-as-a-system approach to home heating, cooling, and ventilation makes in Irvine homes.